Granite is recommended by many Food Health Organisations as a hygenic work surface for kitchen benchtops, tables and food service tops. J.H. 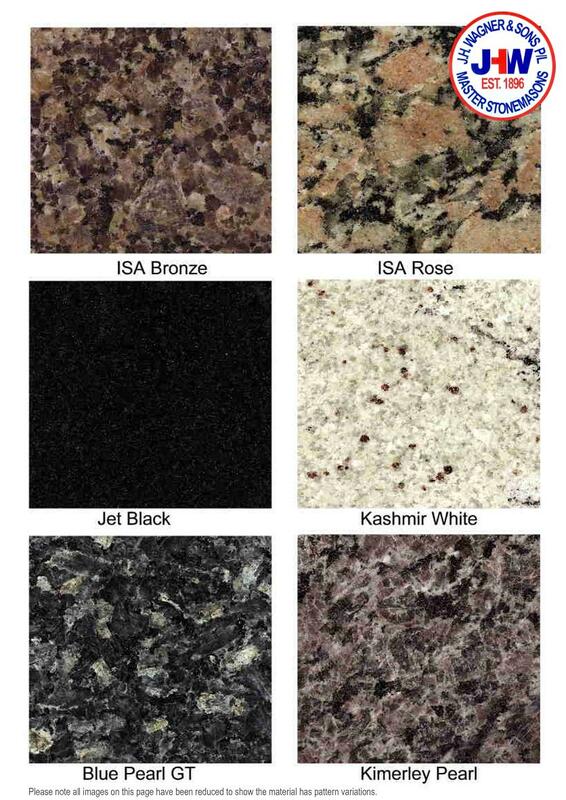 Wagner & Sons also supply granite tops for vanities, washstands, side tables, hall stands and mantle pieces.